What you are about to read is the harsh reality that can happen among families during the Christmas holiday season. It's a story that is just too common! Picture this scenario: An individual travels abroad and ends up meeting someone during their travels. The two enter into a relationship that results in a child being born. After a period of time they start to experience some problems in their relationship and they separate which eventually leads to a divorce. When this occurs, the non-national decides they want to take the child of the relationship and permanently return to their country of origin. As they know that the other parent would object to this, the parent that wants to leave creates an elaborate scheme to illegally remove the child from the country, outside of a court order and without permission from the other parent. 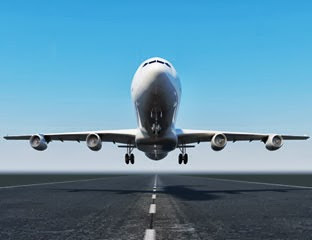 Taking this example a little bit further, and one of the biggest concerns over the Christmas holiday season, is that a parent that is planning an abduction may trick the other parent in traveling abroad. Often, the reason of travel is disguised as family travel to visit relatives abroad, but the reality is, the parent has no intent of ever returning home with the child. Once the family arrives in the other country, the would-be abducting parent may file false claims of abuse or neglect against the other parent and then notifies the targeted parent that they will not be returning to the country of original jurisdiction and neither will the child. Parents that are involved in child custody disputes, separation or divorce must be proactive in protecting their children. Often, parents that are involved in international child custody disputes and who may be targeted for abduction think that their child is best protected from abduction when there is a court agreement in place for the child to return if the other parent is granted travel. For those parents that are allowing or are required to allow a child to travel to a foreign country need to strongly consider having the other parent sign the International Travel Child Consent Form. Should that parent not be willing to, this is a very serious warning sign that they may be planning an abduction. The truth is that unless there is an International Travel Child Consent Form that has immediate ramifications attached to it, the parent and child targeted for abduction are at serious risk. Now, you might wonder why someone would go to such lengths to abduct their child. Well, the majority of abducting parents use the child as a tool to cause the other parent pain and suffering by depriving the latter of the love and connection to their own child. Nearly every published study on this subject has concluded that an abducting parent has significant, and typically, long-term psychological problems and may in fact be a danger to their child. As far as the abducted child goes, the reality is that children of abduction, regardless if they are taken by a stranger or a parent, are emotionally, spiritually, and often severely physically abused. And sadly, too many children never come home: they can't. They are gone forever. A report from the Department of Justice states that children who are kidnapped by a parent not only face severe physical abuse but are also put at an extreme risk of being murdered. According to the Denver Post reports, “Researchers estimate 250 to 300 children are murdered by their parents each year in the U.S. Now, filicide occurs everywhere... it is not a phenomenon isolated within American borders. Simply put, parents do kill children! And we can’t put our head in the sand and think this does not exist. So here is the question. What can you do to stop this nightmare from ever happening to you or to anyone you know? There are a number of things that you can do. 1. ALL parents need to be aware of the WARNING SIGNS of international parental child abduction, but you should be most diligent if you are a parent in a high-conflict relationship, especially if your partner has ties abroad. These are parents that would be considered at the highest risk. If you are in such a relationship, you need to think carefully and be very aware of any travel plans... and know the risks involved for your child in relation to international travel. 2. Use the I CARE Foundation's International Travel Child Consent Form when your child is travelling with the other parent. The Travel Consent Form was created to prevent international child abduction by focusing on the wrongful detention of a child while traveling abroad, and with an estimated 85% of all international parental abductions dealing with wrongful detention, it is geared at potentially stopping the majority of these parental kidnappings. 3. The Children's Passport Issuance Alert Program (CPIAP) is one of the Department of State's most important tools for preventing international parental child abduction. Parents are able to register their U.S. citizen children under the age of 18 in the Passport Lookout System. If at some point a passport application is submitted for a child that is registered in the CPIAP, the Department of State contacts and alerts the parent(s). This system provides the parent(s) with advance warning of possible plans for international travel with the child. 4. The Prevent Departure Program (PDP) is another critical tool used in the fight to protect children from international abduction. In the past, American parents at risk of having a child illegally removed from the United States had to deal with the reality that it was extremely difficult to stop an international child abduction if the other parent possessed a right of American citizenship (sole or dual citizenship). Part of the problem is that the United States has limited exit controls and government published information regarding programs that could be utilized to stop international parental child abduction such as the Prevent Departure Program require a suspected international parental child abductor to not have a right of American Citizenship, among a host of other requirements. Today, parents who are at risk of having a child internationally abducted by a parent who possesses citizenship to the United States of America or who has dual citizenship may be able to protect their children from abduction. If you should happen to be an at-risk parent that believes your child's other parent is planning or is in the process of an international parental abduction, please contact the United States Department of State's Office of Children's Issues Abduction Prevention Bureau to discuss potential measures that may be available to you to ensure the individual parent suspected of an international child abduction threat does not illegally depart the United States and remove your child in violation of a court order or in breach of your right of custody. To contact the I CARE Foundation concerning abduction matters please email us at legal@stopchildabduction.org. In 2011, the forecasted increase for the abduction growth rate in the United States was 25%. Increases in reported abduction rates has been the story for nearly 30 years, ever since America became a signatory of the Hague Convention. Now, the reality of what happened in 2011 is pretty remarkable! There was an actual decline of 15% in the reported cases or abductions originating from the U.S. But not only did this happen in 2011, but also 2012 with a reported decline of over 16%. With the numbers soon to be released for the year 2013, we are expecting another significant decline in the international parental child abduction rate. Worldwide abduction rates have not been reported since 2008. This has little to do with the Permanent Bureau of the Hague Conference, but instead a failure by signatory countries to report their inbound and outbound abduction rate. However, it is believed that the global rate of abduction continues to steadily climb out disturbing rates. With that being said, in conjunction with the worldwide launch and utilization of the I CARE Foundation's International Travel Child Consent Form, we are expecting to actually see a decline in the global rate of abduction. One of the best tools that parents can use to protect their children this holiday season is the I CARE Foundation's International Travel Child Consent Form. In the short time that this ground-breaking abduction prevention tool has been in use, not only has it made an enormous impact in the world of international child abduction, but it has also been acknowledged by major child abduction prevention stakeholders around the world, including Hague Permanent Bureau senior officers. To the best of our knowledge, since the creation of the I CARE Foundation's International Travel Child Consent Form, all children traveling abroad from Hague Convention signatory countries who were expected to return to their country of original jurisdiction have come home. There have actually been several cases where one parent initially refused to sign the International Travel Child Consent Form, and in each of those cases, the overseeing judge would not permit travel. At that point additional measures were put into place in order to prevent a future parental abduction. It is critical for all parents who are allowing a child to travel abroad to understand is that there are numerous traps and schemes that a would-be abductor will use in order to legally keep a child abroad. Most of these schemes revolve around Articles 12 and 13 of the Hague Convention of the Civil Aspects of International Child Abduction. Defending against these potential strategies is critical. It is the thrust of the I CARE Foundation's International Travel Child Consent Form. And with tens of thousands of children around the world targeted for international parental abduction each year, our travel consent form may be the most effective tool that could help prevent abduction or help return a child to their country of original jurisdiction under the spirit of Article 2 of the Hague Convention. So yes, there is hope to prevent this nightmare. If you’d like to learn more about international parental child abduction and how to prevent it, read Peter Senese’s best-selling novel, Chasing The Cyclone. It's a story about a father’s search for his internationally abducted son and is based on Peter's own personal experiences. 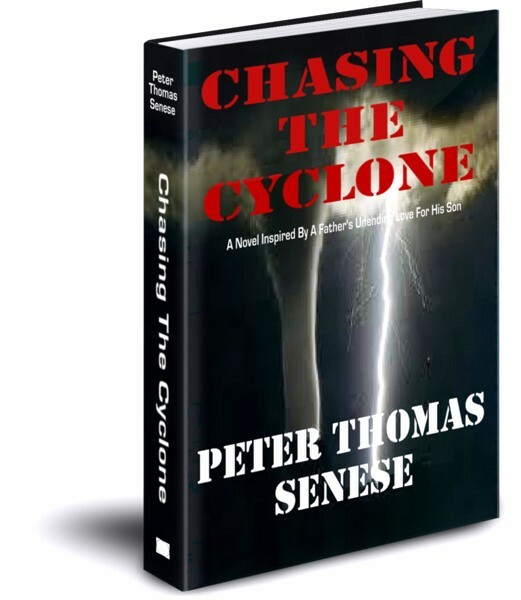 In addition, Chasing The Cyclone has enabled something remarkable: it has helped reunite children with their parents, as Peter Senese has so generously donated 100% of his author royalties to the I CARE Foundation. In the words of Peter Senese, "The I CARE Foundation is actively trying to reunite other children who have been internationally abducted with their families. I think my readers have a deep sense of satisfaction knowing that when they purchase one of my novels, they are making a measurable difference in the life of a defenseless child - and that is pretty cool." Clearly, protecting children from parental abduction requires an incredible commitment to stand unbowed so children and their families may never know the nightmare that is the world of international abduction. Peter Senese made a promise years ago, one that would have him doing what he could to ensure that parents wouldn't have to experience what he did while he was chasing the cyclone. He has proven time and again that he is deeply committed to his goal of preventing child abduction. There are dozens of sworn testimonial letters from individuals regarding the advocacy and volunteer work that Peter does each and every day. Many of these letters are related to recovering and bringing home children who were abducted or who were targeted for abduction, however there are also several letters that share his deep desire for helping others who may be facing severe medical issues. The cornerstone for all his and the renown I CARE Foundation’s work originates from Mr. Senese’s fulfillment of a promise, of which, "Chasing The Cyclone" is a part. Unquestionably, our children are well-served by its publication and the kind, compassionate, and generous assistance of Mr. Senese. The advisory capabilities of Mr. Senese cannot be underestimated . . . Mr. Senese played a pivotal role in assuring and securing my child’s safety . . . Extraordinarily, Peter Thomas Senese’s dedication to children in crisis does not stop with those at risk of abduction: Peter’s work assisting children and their families fighting life-threatening health conditions is equally significant. If reading this post has educated, shocked or touched you in any way, the best thing you could do is to share it on your social media networks and in your blogs – this message has the potential to save the lives of children and their families. Even if it helps to save one life, it’s worth it! As well, over the holidays, in an effort to help prevent international child abduction, take a few moments and educate yourself about the WARNING SIGNS of international parental child abduction. It not only protects your children but perhaps other children you might know.... isn't that worth a few minutes of your time? If you would like to learn more about the criminal act and schemes of parental child abduction, or to download a free copy of the International Travel Child Consent Form visit the I CARE Foundation website. If an international parental child abduction is imminent or is in progress, click here. And lastly, to purchase your copy of Chasing The Cyclone, please visit Amazon or Barnes and Noble. Wishing you the best of the holiday season! When many people think of the holiday season, it is with thought about family time – thinking about spending quality time with their children and seeing the smiles on their children's faces. Then there are those parents who hope for a holiday season with their children. International child abduction has become a reality instead of just a nightmarish thought for these parents. And even more real than that is the fact that this parent’s estranged spouse is responsible for the abduction of his/her child. Unlike abduction within the borders of one’s own country, international abduction presents challenges and complications that one can’t even begin to imagine. The best solution is prevention! Today, it is common for individuals from different countries travel abroad where they may meet someone and enter into a relationship resulting in a child. Unfortunately today, separation and divorce are are extrememly common. In these relationships, the non-national often wants to take the child of the relationship and permanently return to their country of origin. Knowing that the other parent would object to this, the parent seeking to leave often creates an elaborate scheme and illegally removes the child from the country without concern for court orders and without the permission of the other parent. Now what we are most concerned with during the Christmas holiday season is that the scheming parent might even trick the other parent into holiday travel (often inviting that person to travel abroad with them and the child to visit family) all along having no intent of ever returning home. When the family arrives in the foreign country, the would-be abducting parent may then file false claims of abuse and neglect against the other parent. Once this is done, they notify the other parent that they and the child will not be returning back to the country of original jurisdiction. At this point, the targeted parent is generally forced to return back home without their child where they then need to seek legal assistance. Studies have demonstrated that an unprecedented number of abductions have occurred where one parent took action to deprive the other parent of contact with their child. The majority of abducting parents typically use the child as a tool to cause the targeted parent great pain and suffering. Their intent is simple: to make the other parent suffer as much as possible by depriving that targeted parent with the love and connection to their own child. Nearly every published study on this subject has concluded that an abducting parent has significant, and typically, long-term psychological problems and may in fact be a danger to their child. If your child is going to be traveling abroad this season, please consider using the I CARE Foundation's Hague-oriented International Travel Child Consent Form. The Travel Consent Form was created to prevent international child abduction by focusing on the wrongful retention of a child while traveling abroad, and with an estimated 80% of all international parental abductions dealing with wrongful retention, it is geared at potentially stopping the majority of these parental kidnappings. If you are a parent that is allowing or is required to allow you child(ren) to travel to a foreign country you really do need to strongly consider having the other parent sign the International Travel Child Consent Form. Should that parent not be willing to, this is a very serious warning sign that they may be planning an abduction. To the best of our knowledge, since the creation of the I CARE Foundation's International Travel Child Consent Form, all children traveling abroad from Hague Convention signatory countries who were expected to return to their country of original jurisdiction have come home. There have actually been several cases where one parent initially refused to sign the International Travel Child Consent Form, and in each of those cases, the overseeing judge would not permit travel. At that point additional measures were put into place in order to prevent a future parental abduction. It is critical for all parents who are allowing a child to travel abroad to understand is that there are numerous traps and schemes that a would-be abductor will use in order to legally keep a child abroad. Most of these schemes revolve around Articles 12 and 13 of the Hague Convention of the Civil Aspects of International Child Abduction. Defending against these potential strategies is critical. It is the thrust of the I CARE Foundation's International Travel Child Consent Form. And with tens of thousands of children around the world targeted for international parental abduction each year, our travel consent form may be the most effective tool that could help prevent abduction or help return a child to their country of original jurisdiction under the spirit of Article 2 of the Hague Convention. We can put an end to international parental child abduction... the key is awareness. If parents are aware of the WARNING SIGNS of international parental child abduction, they are able to access resources that will hopefully allow them to prevent an abduction. A child that is protected from abduction is a child that remains safe. All parents should be aware of the warning signs, but if you are a parent in a high-conflict relationship, especially if your partner has ties abroad, you would be considered at the highest risk. If you are in such a relationship, you need to think carefully and be very aware of any travel plans... and know the risks involved for your child in relation to international travel. Also, protect your child by utilizing the International Travel Child Consent Form. In 2011, the I CARE Foundation commenced formal operations with the mission to protect children from abduction. Now, we have not alone in our efforts, however there is no question that our outreach has made a tremendous impact on the lives of the extensive number of families that we have voluntarily assisted. In the United States, in contradiction to the forecasted 25% increase in the abduction growth rate for 2011, the actual reported rate declined by over 15%. During the year, 2012, the actual reported abduction rate dropped by over 16%. This is pretty remarkable considering that there has been nearly 30 years of growth in international parental child abduction cases reported in the United States since America became a signatory of the Hague Convention. Once the numbers are reported, it is expected we will see another significant decline in the U.S. rates for fiscal year 2013. Worldwide abduction rates have not been reported since 2008. This has little to do with the Permanent Bureau of the Hague Conference, but instead a failure by signatory countries to report their inbound and outbound abduction rate. However, it is believed that the global rate of abduction continues to steadily climb out disturbing rates. 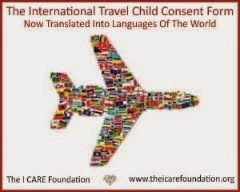 With the worldwide launch and utilization of the I CARE Foundation's International Travel Child Consent Form, the global rate of abduction is expected to decline. 2. The Prevent Departure Program (PDP) – In the past, American parents at risk of having a child illegally removed from the United States had to deal with the reality that it was extremely difficult to stop an international child abduction if the other parent possessed a right of American citizenship (sole or dual citizenship). Part of the problem is that the United States has limited exit controls and government published information regarding programs that could be utilized to stop international parental child abduction such as the Prevent Departure Program require a suspected international parental child abductor to not have a right of American Citizenship, among a host of other requirements. Today, parents who are at risk of having a child internationally abducted by a parent who possesses citizenship to the United States of America or who has dual citizenship may be able to protect their children from abduction. If you should happen to be an at-risk parent that believes your child's other parent is planning or is in the process of an international parental abduction, please contact the United States Department of State's Office of Children's Issues Abduction Prevention Bureau to discuss potential measures that may be available to you to ensure the individual parent suspected of an international child abduction threat does not illegally depart the United States and remove your child in violation of a court order or in breach of your right of custody. Full name, date, place of birth of Potential taking parent. Full name, date, place of birth of Potential left behind parent (and PLBP’s contact info, including a surface address). Passport number and issuing country (if available, and not U.S.) for both parents. Date, place of birth of child. U.S. passport number of child. Passport number and issuing country of any dual national passport of child (if available). Copy of court order with travel restrictions. Full contact details, including a 24/7 phone and email (to email court documents, we do not have after hours fax access), for law enforcement contact. Details of potential travel plans. With both of these programs, it is estimated that the Department of State successfully requests placement of 8-10 individuals on the Prevent Departure Program each month while also overseeing an estimated 60 applications for utilization on the Passport Issuance Alert Program. Clearly, this has played and continues to play a major role in the decline of international parental child abduction rates. According to a report from the Department of Justice, children who are kidnapped by a parent face severe physical abuse and are also put at an extreme risk of being murdered. In fact, Dr. Phillip Resnick, the Director of Forensic Psychiatry at Case Western Reserve University in Cleveland stated in an article that was published by the Denver Post a few years ago about parental child killing, “Historically, one out of 33 homicides is a parent killing a child younger than 18.” Dr. Resnick, who conducted a study on filicide in 2005 states “Filicide, the deliberate act of a parent killing his or her own child, is the third-leading cause of death in American children ages 5 to 14.” Filicide is not a term that we talk about alot, but the reality is, we need to talk about it more. According to the Denver Post reports, “Researchers estimate 250 to 300 children are murdered by their parents each year in the U.S. Now, filicide occurs everywhere... it is not a phenomenon isolated within American borders. Simply put, parents do kill children! And we can’t put our head in the sand and think this does not exist. When a child is abducted they must immediately be considered in great danger! Peter Senese, author of the critically-acclaimed novel 'Chasing The Cyclone,' about a father searching for his internationally abducted son, has had a far-reaching social impact. It is being called both a call-to-arms against the wide-spread epidemic of international child kidnapping, as well referred to as a blue-print on how to either prevent a child from being abducted, or how to reunite with your child. In addition, Chasing The Cyclone has enabled something remarkable: it has helped reunite children with their parents, as Peter Senese has so generously donated 100% of his author royalties to the I CARE Foundation. To quote Peter Senese, "The I CARE Foundation is actively trying to reunite other children who have been internationally abducted with their families. I think my readers have a deep sense of satisfaction knowing that when they purchase one of my novels, they are making a measurable difference in the life of a defenseless child - and that is pretty cool." Clearly, protecting children from parental abduction requires an indefatigable commitment to stand unbowed so children and their families may never know the nightmare that is the world of international abduction. 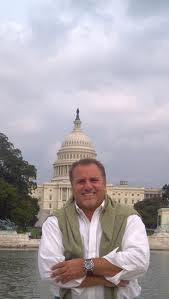 Peter Thomas Senese has proven time and again that he is deeply committed to his goal of preventing child abduction. There are numerous sworn testimonial letters from individuals regarding the advocacy and volunteer work that Peter does each and every day. Many of these letters are related to recovering and bringing home children who were abducted or who were targeted for abduction, however there are also several letters that share his deep desire for helping others who may be facing severe medical issues. Ultimately, each one of these sworn letters shares not only a little insight, but also a unique perspective of who Peter Thomas Senese is. If it were not for Mr. Senese, the real threat of the abduction of my daughter would still exist today. However, this is no longer the case due in part to the actions of Mr. Senese and the I CARE Foundation. Change is occurring, and Mr. Senese and the I CARE Foundation are clearly responsible for a significant part of this by the development and worldwide release of their Hague-Convention-oriented International Travel Child Consent Form that has been publicly cited by the Secretary General of the Hague Conference as a landmark child abduction prevention tool . . . Peter has not only been a warrior and angel, but he has also become a most treasured and trusted friend. Well, to put it mildly, I was very uncertain about my future: I was fighting Stage 4 cancer, my doctors told me I was dying, I was financially in bad shape, and I didn’t feel well. I had no hope. Enter Peter Senese. And my world immediately changed for the better. And this is truly what has happened. … I went from being left alone to die at a small-time local hospital to having a dozen of the world’s best doctors by my side from Memorial Sloan Kettering, telling me they were going to do everything possible to help get me better. While the holiday season is about family time and caring for oneself, let us also remember the words of the legend, Nelson Mandela: “We owe our children – the most vulnerable citizens in any society – a life free from violence and fear.” Let us protect every child we can by sharing the above message with others. In an effort to help prevent international child abduction, take a few moments and educate yourself about the WARNING SIGNS of international parental child abduction. It not only protects your children but perhaps other children you might know.... isn't that worth a few minutes of your time? If you would like to learn more about the criminal act and schemes of parental child abduction, or to download a free copy of the International Travel Child Consent Form visit the I CARE Foundation website. If an international parental child abduction is imminent or is in progress, click here. And lastly, to purchase your copy of Chasing The Cyclone, please visit Amazon or Barnes and Noble. Wishing you the best of the holiday season!